að vera byrjuð aftur í skólanum og rútínunni sem ég er vön! allt á honum! Það munaði þó litlu með eitt, enda fann ég það aldrei sama hvað ég leitaði. going to miss this summer job so much. Thea sneakers. This is my favourite type of Nike shoes and now I have three pairs. 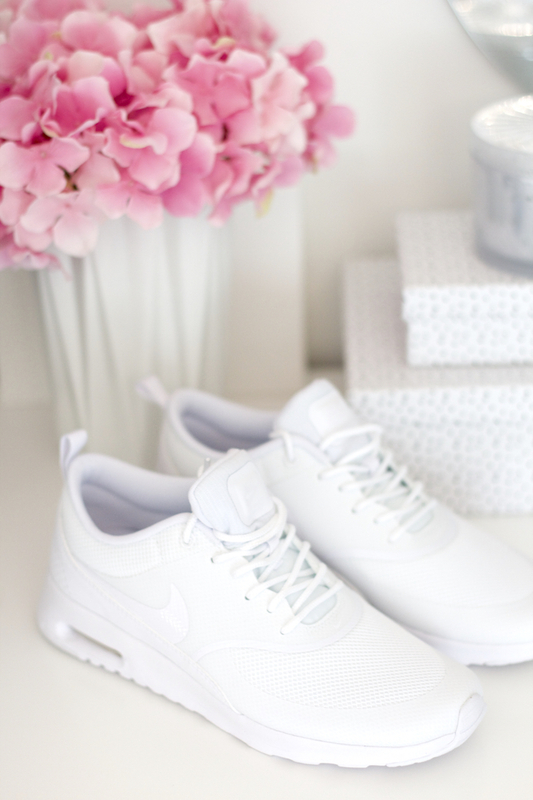 Nothing like a crisp white pair of tennis shoes!